Not a CRIWARE user yet? Register now to get your free evaluation version and discover how CRIWARE can help you boost your productivity and unleash your creativity. 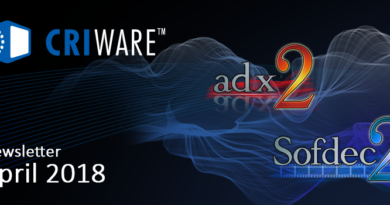 And if you are developing with Unity, we now offer the “ADX2 Unity Plugin” at US $99! Visit the ADX2 Unity PlugIn website today! 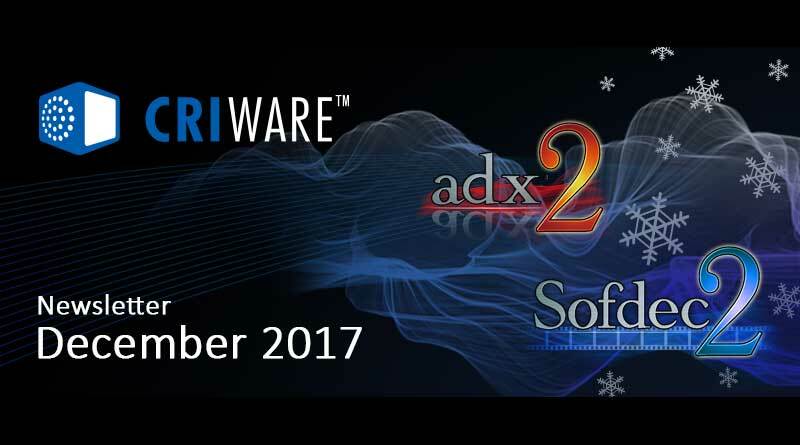 In this issue: the McDSP plug-ins come to ADX2, ADX2 for web browsers, how to display your waveforms correctly in the timeline and news from CRIWARE in China! We are thrilled to announce that audio processing plug-ins from renowned developer McDSP are now available for ADX2, both in the AtomCraft authoring tool and at run-time (for PC, PS4, XBoxOne, Switch etc…) natively and in Unity. AE600: an equalizer providing 6 fixed and active EQ bands with many available modes and parameters. Futzbox: a “low-fi” sound processor to create radio dialog and more. ML 4000 ML1: a mastering limiter with advanced peak detection. SA-2: an award-winning dialog processor based on a specifically tuned 5-band active equalizer. For more information, check out this new blog post. You can now enjoy developing interactive audio for your web applications with ADX2. With AtomCraft, ADX2’s user-friendly and advanced tool, authoring audio that will play in browsers has never been that easy! For more information and for a list of the browsers supported, check this blog post and do not hesitate to contact us! This month, we are showing you how, in AtomCraft, you can display the waveforms of the Materials on a Cue’s timeline, whatever their duration. To change this, go to the “Tool” menu and select “Properties…” In the window that appears, click on “Display” in the left panel. On the right, in the “Timeline” section, change the value of “Display Time of Waveform Graph”. This represents the maximum duration in seconds for which a waveform will be displayed on the timeline. If you want to ignore this setting altogether, simply enter 0 and all waveforms will always be displayed, independently of their durations! It was recently announced that the action game “Moe King EX” from Meng Gong Fang published by NetEase Games will be using both the ADX2 game audio middleware and the Sofdec2 video encoding and playback system. Meanwhile, “Azur Lane”, another popular Chinese game, has made its debut in Japan a couple of months ago, and has already exceeded 3 million downloads. The game, developed by Manjuu and Yongshi, is relying on ADX2 for interactive game audio.